Having walked most of the mountain ranges around the world, we always come back to our homeland, and ask ourselves: is there any better mountain range in the world for walking than the Pyrenees? Our answer is invariably no ! Here are some reasons why. Especially since global warming has been impacting us, the Pyrenees have become even more the mountain range of choice in Europe. Nowhere else offers such a combination of generally good, warm weather, real (but not to high) mountains, green valleys, walkable high ridges, authentic villages, genuine hospitality and exceptional cuisine. Some mountain ranges are not as enjoyably walkable as the Pyrenees, often because of climbs are too steep, ridges too high, distances between villages too great, and paths are too rocky or muddy. For the averagely fit person who enjoys walking – upto age 75 we would say! 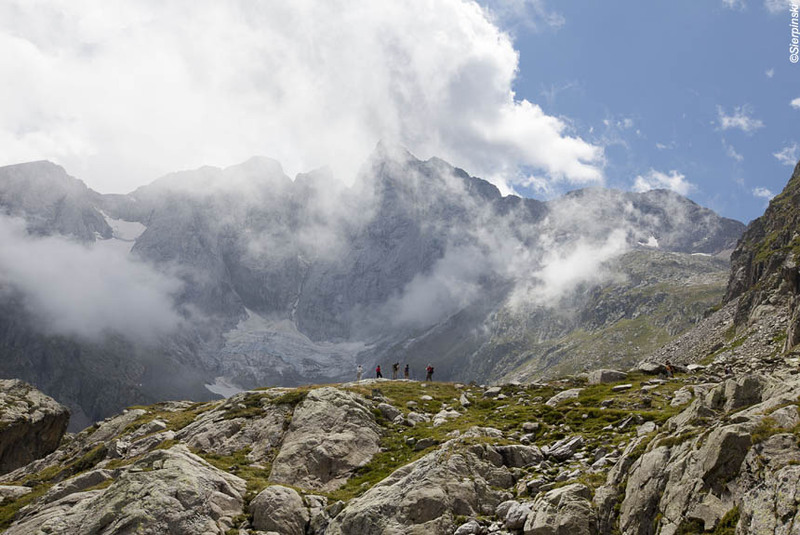 – the Pyrenees are eminently and enjoyably walkable. 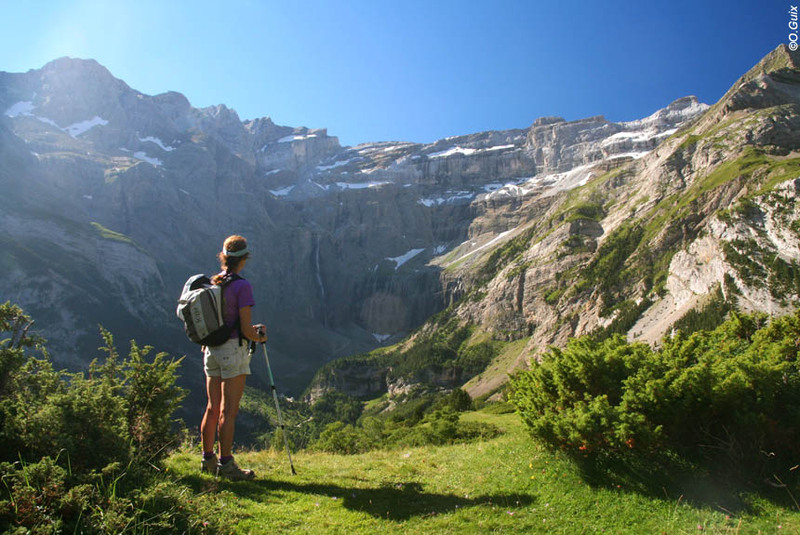 Our “Greater Pyrenees” region offers more choice for those who enjoy walking independently. The itineraries are not dangerous like really high mountains can be, and there are usually shorter and/or lower alternative routes. All our holidays are journeys, so you move from place to place, because we’ve found that’s the best way to discover the true Pyrenees, but always you have the security of our 24/7 English speaking customer service – and people near to wherever you are should you need that sort of help. Our routes criss-cross the Franco-Spanish border, and many include nights in both countries, but whichever country you are in you can be sure of comfortable, good quality, authentic accommodation with character and good food. We don’t do trekking or roughing it, but when staying in a mountain refuge for one night gives you a truly unforgettable experience then we will include that in the itinerary. We have more buying power than any other tour operator offering Pyrenees holidays, so we are able to offer good value, but we also include so much more than others, such as transfers from airports or rail stations, people transfers so you only walk the best bits, good quality hotels, and three course meals. So if you compare prices, do please make sure you are actually comparing like for like.